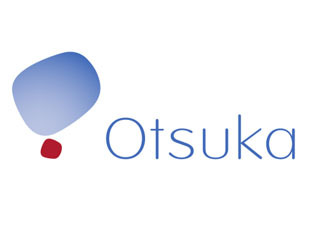 H. Lundbeck A/S (Lundbeck) and Otsuka Pharmaceutical Co., Ltd. (Otsuka) today announced a license and development agreement for Lu AE58054, a selective 5HT6receptor antagonist currently in development for the treatment of Alzheimer’s disease. Under the terms of the agreement, Lundbeck will grant Otsuka co-development and co-commercialization rights to Lu AE58054 in the U.S., Canada, East Asia including Japan, major European countries and Nordic countries. Lu AE58054 is a potent and selective 5-HT6 receptor antagonist under development byLundbeck as an augmentation therapy for the treatment of cognitive deficits associated with Alzheimer’s disease and schizophrenia. Phase III trials recently began for Lu-AE58054, a novel 5-HT6 antagonist for Alzheimer’s disease (AD) from H Lundbeck and Otsuka. Lu-AE58054 already demonstrated significant improvement of cognitive function in an earlier phase II trial when administered with Aricept. This orally available drug is an antagonist of the serotonin 6 (5-HT6) receptor. This receptor subtype is expressed primarily in the brain, particularly in the cerebral cortex and hippocampus, where it has been proposed to play a role in cognitive impairments associated with schizophrenia and Alzheimer’s disease. 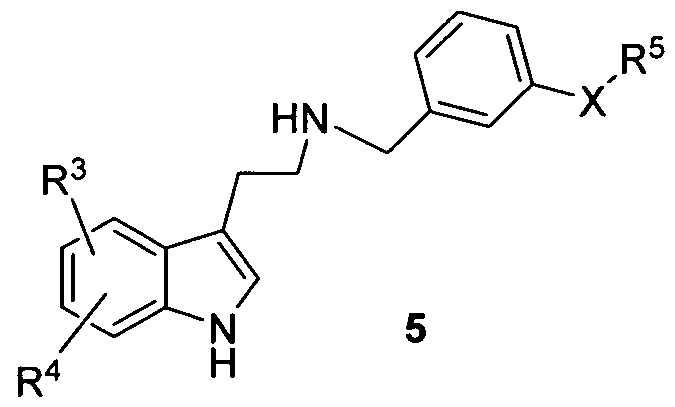 The 5-HT6 receptor antagonists are thought to enhance cholinergic, glutamatergic, noradrenergic, and dopaminergic neurotransmission. Apart from some affinity for adrenergic receptors, Lu AE58054 has been reported to be highly selective over other G-protein coupled receptors. The compound enters the brain and dose-dependently reversed deficits in a rat model of cognitive impairment (Upton et al., 2008; Arnt et al., 2010). Lu AE58054 is being developed as a symptomatic adjunct to cholinesterase inhibitor treatment in Alzheimer’s disease. Lu AE58054 was originally discovered by Lilly, which licensed it to the biotechnology company Saegis for the development of cognitive impairment in thinking disorders such as schizophrenia. In 2006, Saegis was acquired by Lundbeck, which in October 2013 launched a global Phase 3 program in AD. This program consists of four trials planned to enroll a total of about 3,000 patients (see company press release). No Phase 1 trials on this drug are listed in publicly available databases. In 2005, Saegis conducted a Phase 2a trial in 20 schizophrenia patients in the United States, evaluating the safety, tolerability, pharmacokinetics, and pharmacodynamics of giving this drug as an add-on to Risperidone (see company press release). In 2009 and 2010, Lundbeck conducted a Phase 2 trial in Europe and Asia to evaluate the compound as an adjuct to Risperidone for its effect on cognitive deficits in 124 patients with schizophrenia. Results were not published in the peer-reviewed literature, but development of Lu AE58054 for cognitive deficits in schizophrenia appears to have ended. In 2010 and 2011, Lundbeck evaluated Lu AE58054 in a Phase 2 study in 278 patients with probable Alzheimer’s disease. Conducted in Australia, Canada, and Europe, the trial compared the effects of a six-month course of an undisclosed dose of Lu AE58054 with 10 mg/day of Donepezil to the same dose of placebo. In June 2012, the company announced that the trial had met its primary cognition endpoint as measured by the ADAS-cog. On secondary endpoints, such as measures of global status and activities of daily living, Lu AE58054 treatment showed trends for a benefit but fell short of achieving statistical significance (see Jun 2012 news story). In July 2013, a Phase 1 study evaluating pharmacokinetics of single and multiple ascending doses in 42 healthy volunteers was added, and in October 2013, the first of four planned Phase 3 studies began. This study is set to enroll 930 patients with mild to moderate Alzheimer’s disease who are already taking a stable dose of 10 mg/day of Donepezil. The trial compares a six-month course of once-daily 30 or 60 mg capsules of drug to placebo for added benefit on cognition as measured by the ADAS-cog. Secondary outcomes will assess various aspects of global clinical function and behavior. No biomarkers are embedded in this trial, which is expected to last until September 2015. For all listed trials on Lu AE58054, seeclinicaltrials.gov. Description: IC50 Value: 0.83 nm  Lu AE58054 is an in-vitro potency and selectivity, in-vivo binding affinity and effect of the 5-HT (6) R antagonist in vitro:. Lu AE58054 displayed high affinity to the human 5-HT (6) receptor (5-HT (6) R) with a Ki of 0.83 nm. In a 5-HT (6) GTPgammaS efficacy assay Lu AE58054 showed no agonist activity, but demonstrated potent inhibition of 5-HT- . mediated activation Besides medium affinity to adrenergic alpha (1A) – and alpha (1B)-adrenoreceptors, Lu AE58054 demonstrated> 50-fold selectivity for more than 70 targets examined  in vivo: Orally administered Lu AE58054 potently inhibited striatal in. 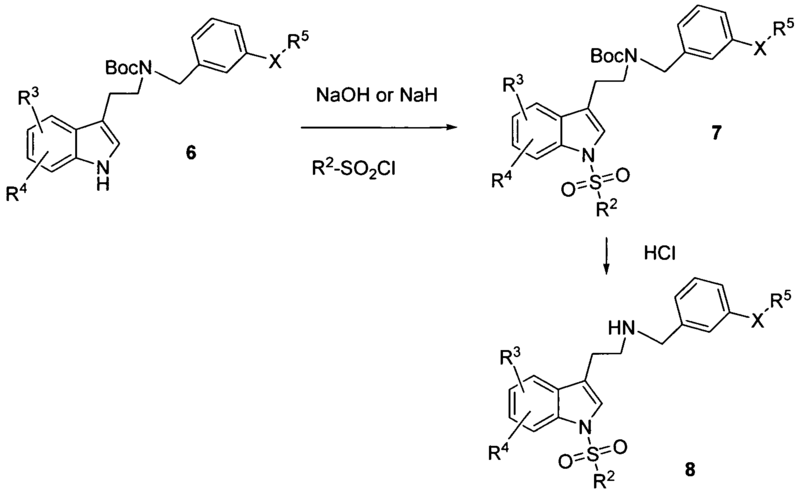 -vivo binding of the 5-HT (6) antagonist radioligand [(3) H] Lu AE60157, with an ED (50) of 2.7 mg / kg. Steady-state modelling of an acute pharmacokinetic/5-HT (6) R occupancy time-course experiment indicated a plasma EC (50) value of 20 ng / ml. Administration of Lu AE58054 in a dose range (5-20 mg / kg po) leading to above 65% striatal 5-HT (6) R binding occupancy in vivo, reversed cognitive impairment in a rat novel object recognition task induced after subchronic treatment for 7 d with phencyclidine (PCP 2 mg / kg bid, ip for 7 d, followed by 7 d drug free). The results indicate that Lu AE58054 is a selective antagonist of 5-HT (6) Rs with good oral bioavailability and robust efficacy in a rat model of cognitive impairment in schizophrenia  Clinical trial:. Lu-AE58054 Added to Donepezil for the Treatment for Moderate Alzheimer’s Disease Phage2. Dementia is a clinical syndrome characterized by deficits in multiple areas of cognition that cannot be explained by normal aging, a noticeable decline in function, and an absence of delirium. In addition, neuropsychiatric symptoms and focal neurological findings are usually present, Dementia is further classified based on etiology. Alzheimer’s disease (AD) is the most common cause of dementia, followed by mixed AD and vascular dementia, vascular dementia, Lewy body dementia (DLB), and fronto- temporal dementia. The incidence of Alzheimer’s disease is expected to increase through the year 2050 with an estimated prevalence of 1 1 to 16 million cases. Currently, two classes of medications are FDA approved for managing symptoms of AD – acetylcholinesterase inhibitors (AChEIs) and an N-methyl-D-aspartase (NMDA) receptor antagonist. AChEIs are commonly used as initial treatment on diagnosis. The AChEIs – donepezil, rivastigmine, galantamine, and tacrine – are indicated for mild-to-moderate AD; only donepezil is approved for the severe stage. RECTIFIED SHEET RULE 91 ISA/EP 5-HT6 receptor antagonist which has been in clinical development for treating cognition impairment associated with schizophrenia and as a treatment for AD. In November 2008, a multi-centre, randomised, double-blind, fixed-dose study (120 mg/day BID) was initiated to explore the efficacy and safety of Compound I as adjunctive treatment to risperidone in patients with schizophrenia. Overall improvement in schizophrenia symptoms was assessed by using the Positive and Negative Syndrome Scale (PANSS) total score. Compound I did not offer any treatment advantage over placebo as measured by the PANSS total score. In 2010, it was announced that there did not appear to be any treatment advantage over placebo in improving patients’ overall neurocognitive performance as assessed using the BACS composite Z-score and the PANSS cognitive subscale scores. In 2012, it was reported that a randomized, double blind, placebo controlled trial conducted in Europe, Canada and Australia met its primary endpoint in the treatment of AD. Data demonstrated that Compound I plus 10 mg/day of donepezil significantly improved cognitive function in 278 patients with Alzheimer’s disease compared to placebo plus donepezil, when measured by Alzheimer’s Disease Assessment Scale-cognitive sub-scale (ADAS-cog). Compound I showed positive results in secondary endpoints including measures of global impression and daily living activities compared to donepezil treated patients. The daily dose of 90 mg of Compound I in the AD study was administered three times daily (3 x 30 mg) to overcome the relative short half-life observed in subjects in previous clinical studies. An issue for that dose selection was to ensure that the maximum exposure level fell under the maximum exposure limit which had been established from non-clinical toxicology studies. Accordingly, a fixed dose of three times in the study was introduced. As the 5-HT6 receptor is a novel target predominately localized in the brain, a key problem in the development is to determine the amount of receptor occupancy and the correlation with plasma exposure. With CNS targets, further challenges exist that revolve around whether a drug will pass the blood brain barrier and whether it will reach the target at a suitable concentration and for a sufficient length of receptor occupancy. Direct brain measures of 5 -HT6 receptor occupancy may be valuable to many decision-making processes during the development of centrally acting drugs targeted at 5-HT6 to ensure adequate proof-of-concept testing and to optimize dosing regimens. In humans, tools such as positron emission tomography (PET) with specific radiolabeled ligands have been used to quantitatively assess in-vivo occupancy of a number of neurotransmitter receptors, including those for dopamine, serotonin, and benzodiazepines (Talbot, et al., European Neuropsychopharmacology, 2002, 12, 503-511). 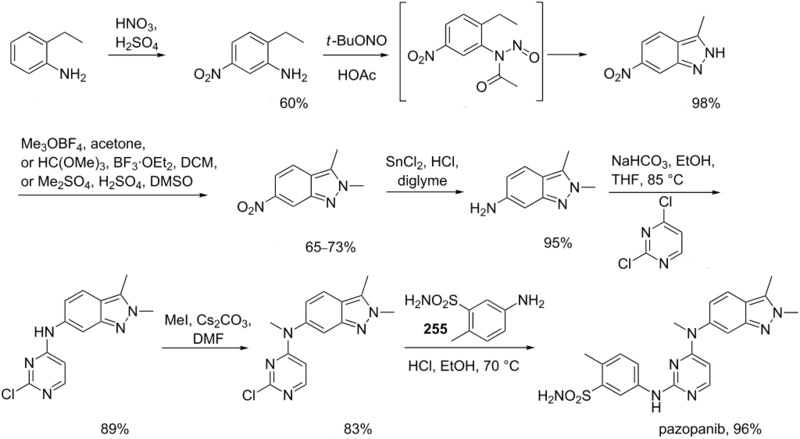 An effective PET ligand, [nC]-LuPET was developed and has since been successfully evaluated for human use. 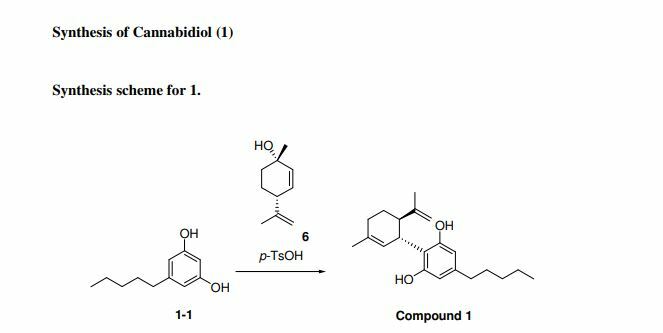 The ligand was subsequently used to determine the 5-HT6 receptor occupancy following multiple dose ranges of Compound I. In the assessment for receptor occupancy, human subjects were administered the compound for at least three days at several dosage regimens. The inventors discovered that high receptor occupancies were observed after multiple dosages of Compound I and that receptor occupancy was maintained 24 hrs post dose. Data generated from a separate Phase I P study in the elderly and data generated from the above AD study have shown that the elimination half life of Compound I in the elderly population was longer (about 19 hours) compared to young healthy subjects (about 12 hours). With these convergent discoveries, the inventors have identified improved methods of treating AD by introducing a new and improved dosage regime comprising once daily administration in a novel dosage range. Based on the findings described herein, the dose range contemplated is expected to be efficacious while providing exposure levels below the NOAEL, thus improving the safety ratio. 3-(2,2,3,3-tetrafluoropropyl)benzylamine (387 g, 0.97 moles) and diethyl ether (3.95 L) of at room temperature. Add dropwise a solution of HCl/Et2O (298 ml) over 15 minutes until the pH is about 3 to give a solid. Stir for 1 hour and collect the solid, wash with ether, and dry under reduced pressure for at 40°C to give the title compound as the hydrochloride. Combine 6-fluorotryptamine hydrochloride (90 g, 0.419 mol) and water (900 ml). Add an aqueous solution of NaOH (2N, 230 ml) and dichloromethane (900 ml). After 1 hour, separate the organic layer, extract the aqueous layer with dichloromethane, combine the organic layers, wash water, dry over MgSO4, and evaporate to a residue. Combine the residue and toluene (200 ml) and evaporate to give 78.45 g of a brown oil. Combine the above 78.45 g with another 41.4 g hatch to provide 6-fluorotryptamine. 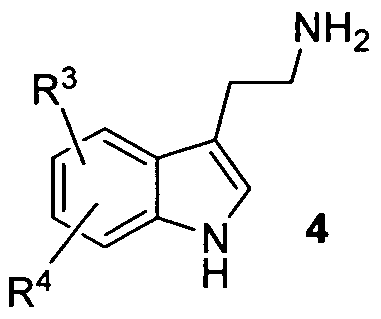 Combine 6-fluorotryptamine (119.85) and ethanol (3.325 L), add 2,2,3,3-tetrafluoropropoxybenzaldehyde (176 g, 0.745 moles, 1.2 equiv.) and 150 g of molecular sieve 3A. Heat to reflux. After 2 hours, cool to RT room temperature and acid NaBH4 (35.2 g, 0.93 mol, 1.5 equiv.). After 1 hour, filter through celite and wash with 500 nil of ethanol. Evaporate the filtrate under reduced pressure to give an oily residue. Partition the residue between water and dichloromethane. Separate the layers, extract the aqueous later with dichloromethane, combine organic layers, wash with brine and dry over MgSO4. Filter and evaporate under reduced pressure to give the title compound. The HCl salt is formed as follows: Combine N-(2-(6-fluoror-1H-indol-3-yl)ethyl)-3-(2,2,3,3-tetrafluoropropyl)benzylamine (387 g, 0.97 moles) and diethyl ether (3.95 L) of at room temperature. Add dropwise a solution of HCl/Et2O (298 ml) over 15 minutes until the pH is about 3 to give a solid. Stir for 1 hour and collect the solid, wash with ether, and dry under reduced pressure for at 40° C. to give the title compound as the hydrochloride. “U.S. Development Programs. – Lundbeck”. “Search of: Lu AE58054 – List Results – ClinicalTrials.gov”.
. Arnt J, Bang-Andersen B, Grayson B, Lu AE58054, a 5-HT6 antagonist, reverses cognitive impairment induced by subchronic phencyclidine in a novel object recognition test in rats. Int J Neuropsychopharmacol. 2010 Sep;13(8):1021-33.
. Witten L, Bang-Andersen B, Nielsen SM, Characterization of [?H]Lu AE60157 ([?H]8-(4-methylpiperazin-1-yl)-3-phenylsulfonylquinoline) binding to 5-hydroxytryptamine? (5-HT?) receptors in vivo.Eur J Pharmacol. 2012 Feb 15;676(1-3):6-11. By DR ANTHONY MELVIN CRASTO Ph.D in Uncategorized on March 28, 2013 .